This week, an interesting article emerged in the 'Science Today' publication, stating that a team of scientists had created a computer programme which played almost perfect heads up limit Holdem. This is of course the simplest form of poker with rigid boundaries however. Building a machine that understands what it should do in a full ring no limit Holdem game when it has been cold 4 bet from the small blind is a far more difficult proposition. The programme for limit Holdem is named 'Cepheus' and has a fascinating way of developing strategies. It began by only knowing the basic rules of the game, while playing games against itself. With perfect accuracy it memorised the outcome of each situation where it had a choice to make and recognised scenarios where making a different choice would have resulted in a better outcome. If the machine did make a choice which led to a non optimal outcome, it assigned a value to the choice rated in 'regret points'. Through countless hands it used the regret points value to learn the best option in any scenario. Eventually, the programme reached a point where it was so close to perfect in its play, that the scientists consider that Limit Holdem Heads-Up is solved. This success could lead to future breakthroughs in other areas where optimisation of response was crucial. The weakness in 'Cepheus' is perhaps that it does not adapt to what an opponent is doing, but instead tries to be completely unexploitable. The programme would undoubtedly struggle in a game where world class no limit players were changing variables such as bet sizing to always stay ahead of what the computer had taught itself to be the best choice. 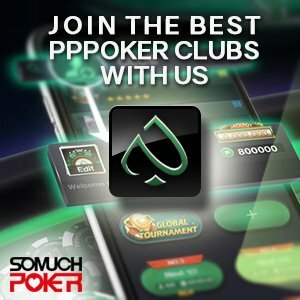 Humans vs Computers: Will poker be the latest forteress? In the past 20 years, the challenge which achieved the most widespread coverage was computer programme 'Deep Blue' against chess genius and world champion Garry Kasparov. In 1996 the first match took place, with Kasparov losing the first game, before notching up 3 wins and 2 draws to win the match 4-2. In 1997 after further development, the tide had shifted, and a rematch resulted in a narrow 3.5 to 2.5 victory for Deep Blue. Chess programmes memorise a tree of possible options with each subsequent move mapped out into branches. Once the computer recognised which branches were optimal and had millions of potential end games memorised, mankind became second best. The best a world champion could ever do now against a top computer programme would be to draw half the time. Other games such as 'Go' are also starting to slowly fall under weight of machine capability. Machines can defeat an average player, although the better 'Go' players out there can currently still defeat machines. It is very possible that ten years from now, no limit poker games on full ring tables will remain the last fortress of the mind for mankind. Mixed games such as PLO or split pot games would appear be the greatest challenge, but for the time being we should expect machines to turn their attention to no limit heads up Holdem. It is both interesting, and humbling for our species to discover that the greatest geniuses of ancient games can be destroyed by that which our own hands have created. It serves as a constant reminder of how creative and imperfect we really are.